A list of Link Summons in Kingdom Hearts 3. The Link system enables the summoned character to be infused with different powerful elements like Fire and Water. A Link Summon is an ability in Kingdom Hearts 3 wherein Sora calls characters from other worlds to aid him in battle. The Link Summons list below contains the name of each Link as well as the character that it summons. Sea Spectacle Ariel (Little Mermaid) ??? Kingsflare Simba (Lion King) ??? 8-Bit Blast Ralph (Wreck-It Ralph) ??? Plasma Encounter Stitch (Lilo & Stitch) ??? Wonder Balloon Meow Wow (Kingdom Hearts) ??? The system revamps the skills of various characters, adding more flare to their attacks. 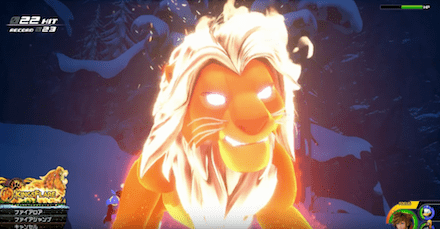 In the image above, we can see Simba infused with Fire, which allows him to burn enemies to the ground.